Fans of the Bitterroot River will continue to have stream access near Stevensville as long as Montana Fish, Wildlife and Parks continues talking to the benefactor. 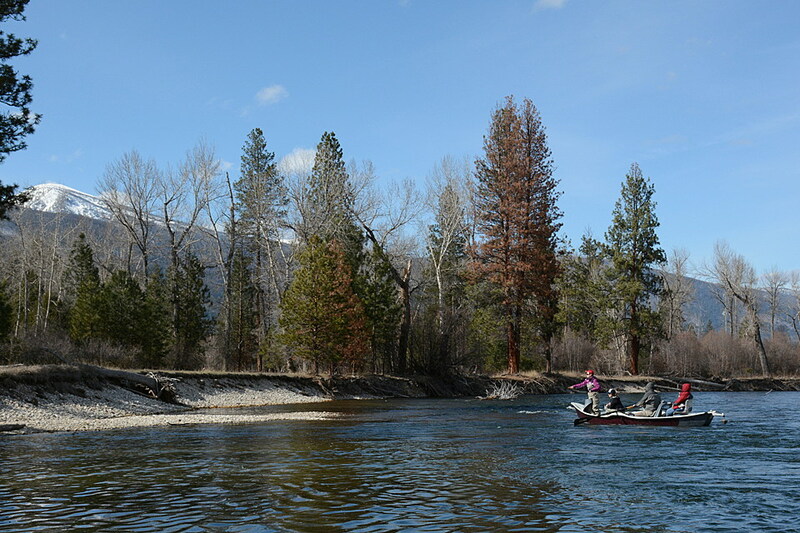 On Monday, the FWP Commission unanimously approved allowing the agency to accept a donation of 6.25 acres along the east side of the Bitterroot River, half of which will serve as a fishing access site. Actually, the same spot has been a fishing access site for about 40 years, but its existence came into question in June 2017. The site was on the private land, and the owners of the Fort Owen Ranch, the Capp family, decided to shut it down. That was after trying unsuccessfully for a few years to trade the land with the city of Stevensville, which manages a park adjacent to the access site. Closing the stream access left guides, fishermen and floaters with no boat access near Stevensville and a long float between Bell Crossing upstream and Florence downstream. The city still had a road easement through the Capp property to allow people to get to the park so it tried to provide a temporary boat launch from the park, but it wasn’t ideal. Then hope sparked for frustrated anglers when they heard the Capp family had sold the Fort Owen Ranch to Myla Yahraus. Dale Burke of the Ravalli County Fish and Wildlife Association said his group and Region 2 FWP representatives reached out to the new owner. Yahraus moved to Montana from Nevada, where public stream access is not a right and public lands are not as popular, so she brought that attitude with her. But after Bitterroot locals explained how much they treasure their rivers and how much Montanans value recreational opportunities, Yahraus came around, Burke said. As a result, she didn’t just reopen access to the river, she offered to give the land to FWP so the problem could never happen again. The original fishing access opened to boats this summer while the commission has been considering Yahraus’ donation. FWP had set $200,000 aside to improve the access area by upgrading parking and installing a pit toilet and four campsites. Construction will begin next spring. If FWP fails to maintain a fishing access on the site, the property reverts to Yahraus. Burke praised the efforts of FWP staff, but implored the commission to make sure that they maintain a regular dialogue with Yahraus as promised in the agreement. Burke works with Fort Owen State Park, which abuts the Fort Owen Ranch north of Stevensville, and he said the park’s security also depends on maintaining good relations with Yahraus. Region 2 commissioner Tim Aldrich congratulated FWP staff for being able to hang on to the fishing access site. “This has been a monster project. Talk about out of the hands of disaster into a great victory for sports people. This is a great one,” Aldrich said. Contact reporter Laura Lundquist at lundquist@missoulacurrent.com .